In considering the history of any religion we get, first of all, either authenticated Scriptures complied by the followers of that Faith or else descriptions left by contemporary outsiders narrating how these doctrines and beliefs affected them. In the second place, there is a certain amount of what might be called “floating tradition” and folklore embodied in the varied rites and ceremonies practiced by the believers in that Faith. And thirdly, there is a certain amount of “sacred” or “mystic” tradition and teaching known to only a few, and which was jealously guarded from the “profane” that were likely to scoff at it. This “sacred”, and therefore secret, lore was known only to a few initiates, but in order that the memory of these may not be completely lost most of this secret teaching was embodied in some sort of symbolic ritual, which could be performed openly before the public. This open ceremonial exhibited symbolically some fundamental truths of human life, such as the progress of the soul toward God, the ultimate defeat of evil and untruth, etc. Long after the religion to which these ceremonies belonged had passed away these mysteries persisted in surviving and even attached them selves to some newer Faith that had replaced the older one. The history of the religion of Mithra illustrates these points. Here we find a very ancient “mystic” tradition attaching itself successively to various Faiths in various lands and adapting itself to the needs of the people who had made it their own. 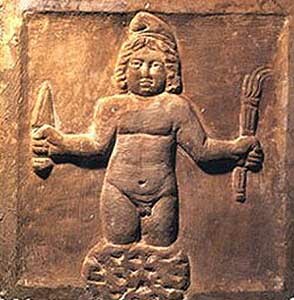 Mithra was an ancient Aryan Deity, closely associated with the Supreme Being — Asura Varuna. Varuna implied the all-embracing Heavens and Mithra was the Heavenly Light, and so Mithra was invoked together with the all-embracing Father of All, Varuna. Both in the Zoroastrian Avesta and in the Hindu Vedic Hymns Mithra* is invoked as the Lord of Heavenly Light. He is the Light, not the Sun; the Sun is his physical vehicle. In Zoroastrian ritual the Litany to Mithra is always recited after the Litany addressed to Khurshed (who is the physical Sun). Mithra is ever awake and on the watch. He has a thousand ears and ten thousand eyes. With these he watches over all creatures, hearing all, seeing all. None can deceive him. Hence he is Lord of truth and loyalty. And he is invoked whenever oaths are taken. He guarantees all contracts and promises and punishes all who violate their bond or break their plighted word. 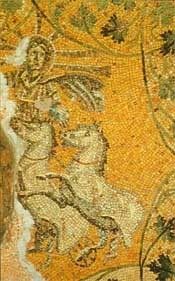 In Iran such offenders were called Mithro-Druj (sinners against Mithra), and they were regarded as among the worst sinners. Being light he also represents heat and life, and so he is called “the Lord of wide pastures” and he is “the Lord of Fecundity”. He giveth increase, he giveth abundance, he giveth herds, he giveth progeny and life. He poureth forth the waters and causeth plants to grow. He bestoweth upon his worshippers health of body, wealth and well-dowered offspring. And besides these material comforts he also bestows peace, wisdom and glory. As Lord of Light he is the foe of darkness and of vice and impurity. He leads the hosts of Heaven against the hordes of the Abyss. In a sense Mithra is the prototype of the Archangel Michael. In India, Mitra is always associated with Varuna. These are the Great Twin Brothers, and here too these two are clearly regarded as two aspects of the ETERNAL LIGHT, and all through the Vedic Hymns while Varuna is worshipped as the Supreme Head of the Aryan pantheon. Mitra has retained his position beside him as his Twin Brother. In Iran, however, Zoroaster emphasized particularly the complete supremacy of the Aryan Asura-Varuna under the name of Ahura. So naturally his Twin Brother Mithra could not be regarded as his co-equal. In fact Mithra is not mentioned even once in the Gāthās of Zoroaster, because his Twin Brother, Ahura, has concentrated within himself all the attributes of both. But in later Avesta Literature Mithra is again associated with Ahura, the two being invoked together as two Lords, imperishable, exalted and holy. Still on the whole in later Zoroastrian theology, Khurshed (the Sun) is the closest associate of Mithra. An important function of Mithra in later Zoroastrian theology is as a Judge of the departed souls in which office he is associated with Rashnu (Justice). And as “Lord of wide pastures” he is associated with Aredvisura Anahita, the Deity who presides over Waters. From a very early period the Iranian people came into intimate contact with both the Babylonians and the Egyptians. So Naturally there came into the Aryan Religion of Iran “foreign influences” from both these nations. Both these countries– Babylon and Egypt – depended for their prosperity and their well being upon the great rivers, Euphrates-Tigris and the Nile. The annual floods of these rivers at the beginning of each spring would naturally give rise to the spring-festival, which would be closely associated with the worship of the Waters and of the Deity of Fecundity. In Babylon we thus see the Ishtar-cult established and in Egypt the Isis-cult. In Babylon the Ishtar-cult was early united with astrology and magic, while in Egypt the Isis-cult got amalgamated with the mysteries of the “Perfect Man”, Osiris. We thus find in Achaemenian Iran the cult of the Lord of Fecundity amalgamating with the worship of Anahita the Deity of the Waters. The former also represents the Father-aspect of Nature while Anahita represents the Mother-aspect of Nature, which was regarded as purifying the seeds of all males and the wombs of all females so as to ensure a strong progeny. 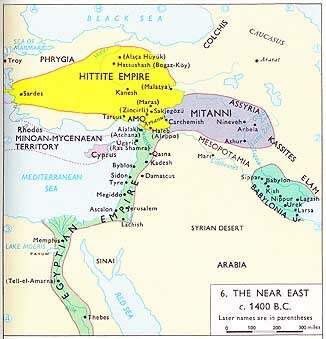 The Hittites, who too had close contact with Babylon and Egypt, also worshipped Mitra together with Aryan Deities. There is reason to believe that the Hittites served as a connecting link in the development of the Mithra-cult in Achaemenian Iran. There was also a cross current flowing from Greece, where we find a closely similar spring-cult of Dionysios and Demeter. 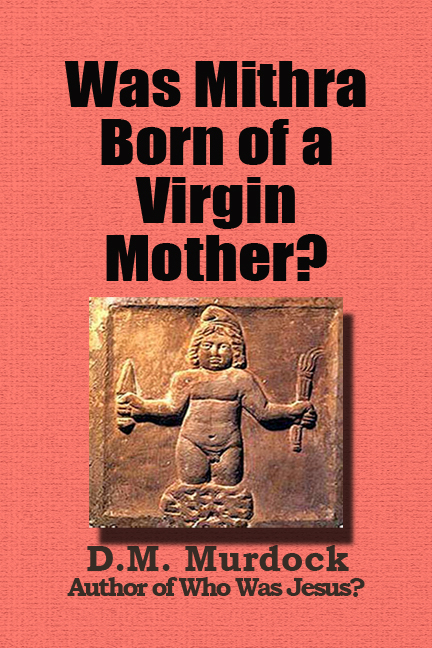 The cult seems to have been actually practiced in prehistoric Crete also. In Greece this cult of Dionysios-Demeter also got connected with the spring festivities, which were celebrated every year with great rejoicing and were often accompanied by a considerable amount of lewdness, loose talk and sexual orgies. India too had the festival of Love – the Madanotsava, which is the spring-festival described in Classical Sanskrit works. It was closely associated with the worship of the Lord of Love and Fecundity – Madana and his spouse, the Spirit of Fertility – Rati. In later times this cult united with the cult of the Divine Cowherd, Krishna, and his milkmaids, particularly Radha. This last has continued down to the present day and is celebrated each year all over India as the Holi festival, on the first full-moon day in spring. The lewd songs and coarse gestures and the foul language used on these occasions are all relics of the ancient festival of the Lord of Fecundity and Love. 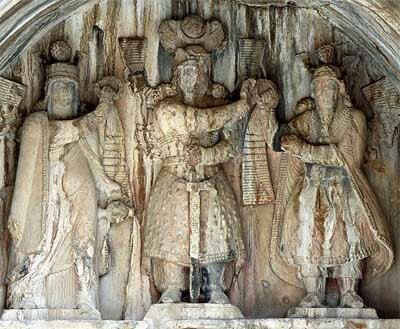 So in Iran in the later Achaemenian days we find the worship of Mithra steadily growing up. In the early Achaemenian inscriptions only Ahura Mazda is invoked as the “greatest of the Deities”, but the later inscriptions the names of Mithra and Anahita are also invoked in addition to Ahura Mazda. All three are invoked that they may bless the imperial family and the realm. Herodotus and other historians tell us that there was a magnificent temple of Anahita in Iran, where her image had been installed. In one of the later Avesta texts (Yasht V. Aban) we find a detailed description of the personal appearance of Anahita, and of her superb dress and ornaments, all of which go to support the statement of the historians. At the end of the Achaemenian period in Iran the religion of the imperial family as well as that of the masses was certainly Zoroastriaism. There was, however, a considerable admixture of Babylonian magic and star-cult and also of the various cults of Greece and Egypt. And the Mithra-Anahita cult was a very strong influence among the masses. During the days of Achaemenian supremacy Iranian Zoroastrians had settled in every corner of the vast empire and even beyond its limits. And wherever they went their beliefs and their customs were carried with them. The conquest of Alexander strengthened still further the Greek influences, which had come over Iranian culture. And we find among the Greek writers of that period a clear tendency to see the close resemblance between their own Deities and those of Iran. In fact the Greeks give to the Iranian Deities the corresponding Greek names. The memories of Achaemenian greatness continued undimmed for many years. The various dynasties that arose in Pontus and elsewhere after the break up of Alexander’s Empire all claimed their decent from the ancient line of Cyrus and Darius and tried to keep alive the ancient Achaemenian beliefs and customs. The Mithra-cult was thus kept up in all the kingdoms that were then founded in Asia Minor. As a proof of this we may mention the fact that a large number of the rulers of these new kingdoms, as also of the Arsacid dynasty that followed, bore the name of Mithradates (Mihrdad). At one period (about 130 B.C.) all the rulers in Iran bore this one name. Rome now comes upon the world-stage as a great power in the West. And at one period she and Iran shared the whole of the known world between them. An ambassador of Iran at the court of Galerius was quite correct when he declared that these two Empires were as the two eyes of the human race. As the Roman power began to extend eastward the influence of the West upon Iran became more and more pronounced, and similarly the influence of Iran upon Rome began to be felt in greater measure. At first Rome came into touch with merely the fringe of Iranian culture, through the Iranians who had settled down in Asia Minor, but the first century of the Christian era the contact between the two had become very close and intimate. The petty Iranian dynasties in Anatolia and Commogene disappeared before the advancing Romans. And wherever the Romans penetrated they constructed a network of roads joining the remoter towns with the headquarters. So we find that by the time of Trajan (98-117 A.D.) Rome and Parthia were facing each other across the Euphrates and Roman legions were scattered from the Euphrates to Armenia and the whole of Pontus and Cappadocia had come into intimate contact with the Latin world. In their turn the Roman legions were influenced by Iranian ideas and culture and when they were transferred from Asia Minor to other provinces of the Roman Empire these legionnaires carried Iranian ideas with them to every corner of Europe. The spread of Mithraism through the Roman Empire began definitely with the conquest of Cilicia by Pompey in 67 B.C. Plutrach has recorded that Pompey “performed strange sacrifices on Olympus, a volcano of Lycia, and practiced occult rites among others those of Mithra”. The lands conquered by Pompey resembled the original homeland of the Persians – the land of Pars or Persis – both in its climate and its soil. Hence the majority of both the peasants as well as of the nobility of that region (Celicia) were almost pure Persians by blood as well as by culture. Among these Persians the cult of Mithra, the invincible Lord of Battles was definitely practiced. The religion of these Persians was that of Mazda-worship as taught by Zoroaster, but it had been modified a good deal in course of time and had come nearer to the pre-Zoroastrian religion ofNature worship. The written language of that region was a variety of the Semitic Aramaic. In the Greek inscriptions of that period the priesthood of these Persians has been named the Magousaioi, which is clearly a transcription of the original name of these priests. 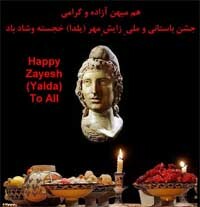 This religion practiced by the Iranians of Cilicia was a sort of amalgamation of Mazda-worship and Babylonian beliefs. 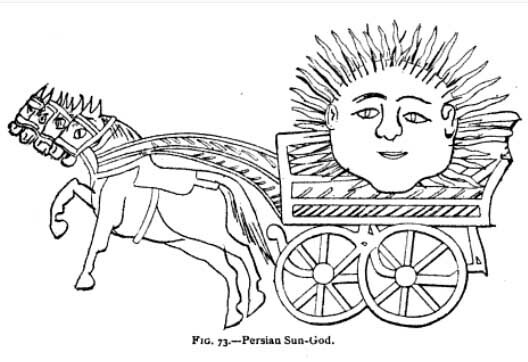 Ahura Mazda was assimilated to Bel (Merodach), Anahita to Ishtar, and Mithra to Shamash (the Sun). 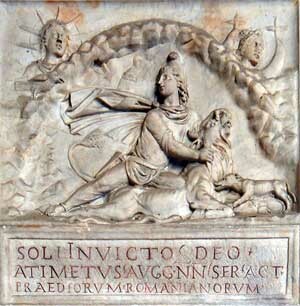 And doubtless owing to this, Mithra was always known among the Romans as SOL INVICTUS. In Anatolia, near the small town of Doliche, a Deity was worshiped whose name was recorded by later Roman writers as Jupiter Dolichenus. His special weapon was a double-edged axe, an ancient symbol venerated in both Crete and in Egypt. This Deity was later syncretized (assimilated) with the Semetic Baal-Shamin and became completely Semitic in character. But when Cyrus conquered this region this ancient Deity was assimilated to Ahura Mazda, for Herodotus tells us that this Deity represented “the full circle of heaven and was worshipped on tops of mountains”. In post-Achaemenian days this region was ruled over by a petty local dynasty —half Iranian, half Greek—and under them this ancient Deity of Doliche was named Zeus Oromasdes and this Deity was reputed to reside in sublime ethereal regions. This same Deity was theJupiter Caelus of the Romans. The Romans also recognized this particular Jupiter as the Head of the pantheon of Mazda-worshippers. And later on this same Zesus Oromasdes was closely associated with the cult of Mithra. The Mithra-cult with which the Romans came into contact was a combination of Persian beliefs with Semitic theology, incidentally including certain elements from the native cults of Asia Minor. There seems to have been some influences from the religion of the Hittites. Just before the Roman conquest of this region the Greeks had been the supreme power there, and they had consequently looked upon this cult in their own way and had imposed upon it some of the ritual from their own mysteries. In spite of all theseforeign influences Mithraism remains in its essence Zoroastrian Mazdaism with a blend of certain amount of Chaldean (Babylonian) theology. It seems strange that the Greeks never took to Mithra-worship. The reasons for this may only be guessed. 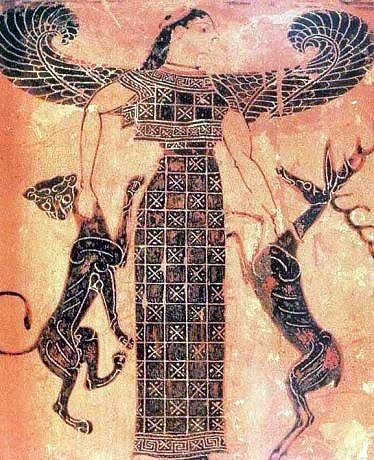 Some of these might have been (i) the hereditary dislike of the Greeks for anything Iranian, (ii) their own racial pride and consequent narrow outlook and probably also (iii) their spiritual inability to respond to the mystic symbolism and (iv) their inability to submit to the discipline inculcated by the Mithra-cult. Nevertheless the Macedonian conquest of Iran led to the final and definite formulation of Mithraism. It is certainly during the period of moral and religious fermentation prompted by the Macedonian conquest that Mithraism received its more or less definitive form. Once accepted by the Romans the cult spread with great rapidity. We can trace it along the banks of the Danube and the Rhine. We find its traces along the Roman walls in Britain, on the borders of the Sahara and also in the valleys of the Asturias in Spain. The Roman Empire and the commerce of the Mediterranean (which was mainly in the hands of Asiatic merchants from the Levant) helped considerably in the spread of this cult. A very large proportion of the missionaries of Mithraism were the slaves and menial workers in the families of the Roman aristocracy. The cult spread so fast that in 307 A.D. a sanctuary to Mithra was solemnly dedicated on the Danube as to the Protector of their Empire —fautori imperii sui. In spite of its wide spread influences all over the Roman Empire, Mithraism was not destined to be the Faith of the West. It almost succeeded in becoming the Religion of the Roman Empire, and in achieving this it prepared, in a manner of speaking, the way for the ultimate triumph of Christianity over Roman paganism. In fact just before the accession of Constantine, Mithraism had all but triumphed. This religion was finally defeated because Christianity ascended the throne of the Caesars and Christianity became Caesarised. The transition from Mithraism to Christianity, however, was not altogether abrupt, because the Christ-mystery, which replaced the Mithra-mystery, also dealt with the same theme, viz the Perfecting of Man. There was one last attempt made by Julian the Apostate (360-368 A.D.) to reinstate Mithraism, but it was unsuccessful; and after the death of Julian this religion gradually faded out in the West. In Iran, the land of its birth, the worship of Mithra, the Invincible Lord was replaced by the Lord of Battles and Victory, the Aryan Verethraghna, the Sassanian Behram, and thus the ancient cult of Mithra faded out in the East as well. But before it disappeared finally it had another recrudescence, veiled as the eclectic cult of Mani, which was the ancient Mazda-worship blended with the best elements of Christianity and Buddhism. Mani’s religion also laid great stress on absolute purity of life, on discipline and on the perfectibility of man. 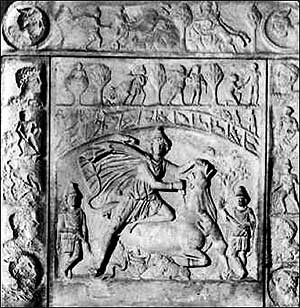 The final disappearance of Mithraism from Iran was certainly due to the Islamic conquest, and to the blending of the ancient mystic lore of Mazda worship with Islamic doctrines. No doubt the image worship in Mithraism was utterly repugnant to Islamic ideas and this must have hastened the final departure of Mithraism from Iran. Still, the ancient mysteries of the merging of man into the Divine have continued in another garb in the wonderful Sufi poetry about the blending of the Lover and the Beloved. We may now consider why Mithraism had such wide spread influence. We have seen that the cult began to crystallize in the days of the mental and moral ferment, which followed the break up of the greatest empire of antiquity. The Roman mind, which loved law and order and discipline – especially the warrior mind of Rome – was particularly struck by the importance, which the Persians attached to their peculiar religious discipline and the rigor with which they enforced it. These Persians had themselves been world conquerors and as such they had realized the value of self-control and discipline, and the practical Roman mind clearly recognized the value of this virtue for the administration and control of their vast empire. 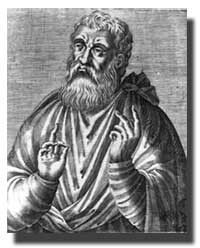 Roman religion had been so far orderly and decorous and dignified; their ritual was such as would befit the elderly self-important patricians of Rome. But just for this reason the pagan religion of Rome failed to impress the masses. These latter were at first carried away by the primitive and more emotional cults imported from Syria; but when they were brought into direct contact with Mithra worship they at once realized that it was something they had been thirsting for and groping after for years. Here was the cult of a nation as imperial in its outlook as they themselves, and it inculcated order and discipline so dear to the Roman heart. Above all it satisfied the desire for a practical religion that would subject the individual to a rule of conduct and contribute to the welfare of the state. Mithraism infused life into Roman religion by introducing in it the imperative ethics of Persia – a thing deeply appreciated by a military nation. Mithra being the Lord of Light and the God of Truth and Justice was ever opposed to the Evil One. Hence he was the Guarantor of faith and Maintainer of the plighted word. Thus Mithraism exacted loyalty and fidelity from its followers and imposed upon its adherents a code of virtue similar to what is now understood by the word honor. In addition to this, there was engendered an esprit de corps and true brotherhood, which was a real binding force in such an extensive and heterogeneous empire like the Roman. Then there was the ideal of Purity. Mithra as the enemy of every kind of impurity stood forth as an ideal and perfect man. The ceremonies and the various degrees imparted to the initiates all intended to emphasize grade by grade the ideal of purity. One trait pre-eminently distinguishes the ideal of Mithra as accepted in the Roman Empire, and that is his absolute Purity. Osiris had his Isis. 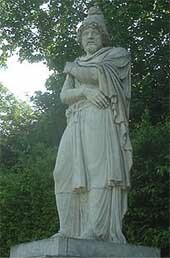 Bel-Merodach also had his spouse but Mithra, was ever single, a celibate. Anahita, his companion from the later Achaemenian days, had dropped out completely. The excesses of cult of Fecundity imported from foreign lands seemed to have caused a natural revulsion in favor of complete chastity. Hence Mithra is Sanctus in the true sense of the term. Instead of the orgies of the spring festival we now had reverence for chastity in the Mithraism, which Rome had accepted. *It may be noted that the name is spelled Mitra in the Vedas, but Mithra in the Avesta. together, with love and put them down in the House of Song. Now, lets look into how Mithra transformed from Persia into Rome, and thus helping create the Jesus Christ myth. Changing history indeed. Maybe now people will come to understand why we did a ritual dedicated to slaying Mithra. This was a spiritual attack on the eyes of the light. This was to help blot out the all pervading view of the god who judged mans’ affairs. Continues to do so in the veiled name of Jesus.